Cupcakes will also be available for night-shift employees from 6:30 pm to 8:30 pm (at GRMC on the 2nd floor hallway near the North elevators beside the VA crosswalk and in Public Safety). Wednesday, Jan. 15, 7:30–8:30 a.m. – The Hull College of Business is sponsoring its Annual Economic Forecast Breakfast in the Jaguar Student Activities Center on the Summerville Campus. RSVP to Lenora Harkins at LHarkins@gru.edu or 706-737-1418. Thursday, Jan. 16, 11 a.m. to 7 p.m. – All GRU and GRHealth employees and students are encouraged to Go Downtown on to receive discounts from more than 50 downtown businesses. At 6 p.m., everyone is invited to listen to music in the Augusta Commons; following the performance will be a fireworks display. Shuttle transportation will be provided from both campuses to downtown. GRU Go Downtown Ambassadors will be on hand to direct visitors to participating businesses. Friday, Jan. 17, at noon – The Martin Luther King Day Celebration will be hosted this year by Paine College in the Gilbert-Lambuth Memorial Chapel. 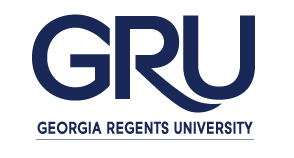 Tuesday, Jan. 28, at noon – GRU President Ricardo Azziz will give his presentation on the State of the Georgia Regents University & Georgia Regents Health System in the Maxwell Performing Arts Theatre.